Afternoon Tea whilst cruising along the Thames, what a civilised way to pass the afternoon. 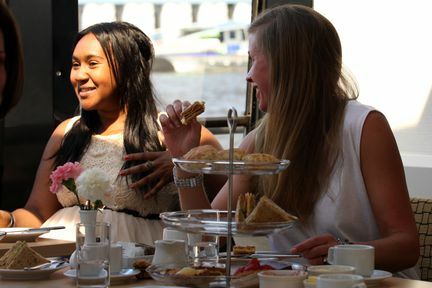 Why not gather a group of like-minded friends to enjoy a gentle cruise with a little cake? If the mood takes you, why not treat yourself to a glass of bubbly? Perfect for relaxing after a little light shopping or just the journey up town. · A selection of sandwiches, traditional cakes, pastries, scones with clotted cream and jam. You should arrive at least 15 minutes before departure time. If you are buying tickets at the ticket office, please allow some more time. All our boats have inside seating and are fully heated. 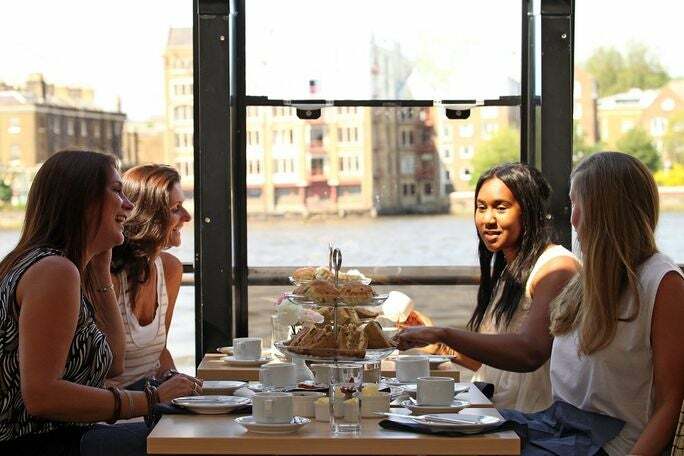 All our boats offer open space areas with great views. Many have upper open decks offering an elevated view. Boarding time: Tower Pier from 3:15pm. Recommended to arrive at least 20 minutes prior to boarding time.